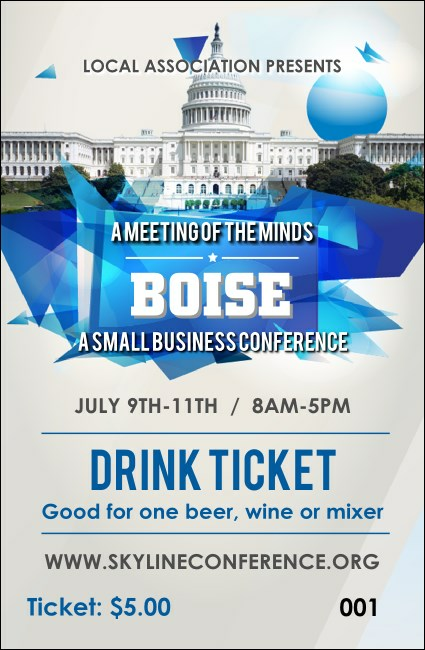 Keep your guests hydrated and help your event take root in the City of Trees when you print stunning Boise Drink Tickets. Impress the Pacific Northwest with tickets that feature Boise’s majestic Capitol building in all its glory on a pure white background with sequential numbering for easy event security. TicketPrinting.com has the right ticket for every Idaho event.